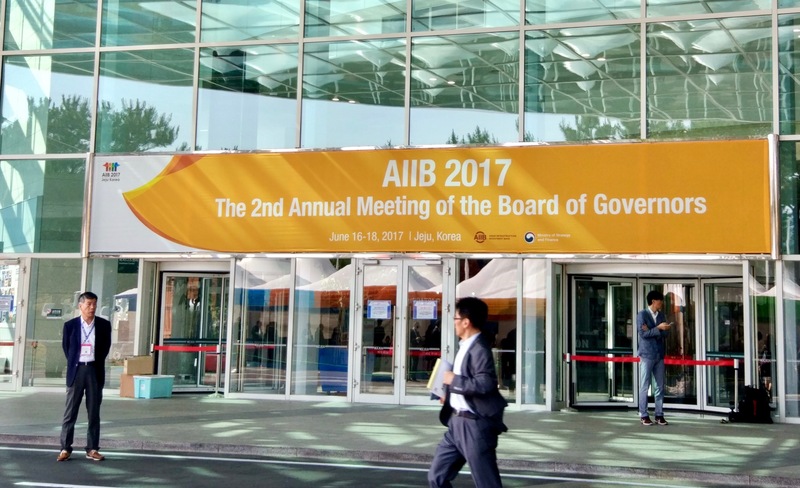 JEJU ISLAND, South Korea, June 17 -- The 2nd Annual Meeting of the Board of Governors of the world’s newest Multilateral Development Bank – Asian Infrastructure Investment Bank (AIIB) is ongoing on Jeju Island. The long-waited Sustainable Energy for Asia Strategy (“the Strategy”) has just received support by the Bank’s Board of Directors. 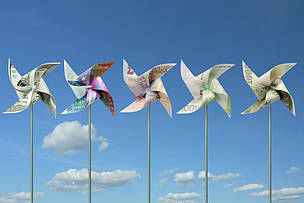 Its successful implementation is expected to improve access to sustainable energy for millions of people in Asia. The Strategy had undergone two rounds of public consultations - in November 2016 and in February 2017, with a diverse set of external stakeholders. WWF, with its global network of offices especially the ones in Asia, provided inputs to both processes. “A MDB in the 21st century should by definition be a MSDB – a Multilateral Sustainable Development Bank,” says Lo Sze Ping, CEO of WWF China, “AIIB should play a driving role in the global sustainability agenda and governance, supporting member countries to achieve the Sustainable Development Goals, Sustainable Energy for All and Paris Agreement.” Sustainability in all aspect of the Bank’s operations should be in its DNA from scratch, as President Jin Liqun highlighted on numerous occasions. WWF applauds the indication by AIIB’s senior officials including the president that it is not considering coal power projects currently. “Being a new and sizable development bank, AIIB holds tremendous leverage to support members to phase out fossil fuels investment, avoid further lock-ins, and curb associated carbon emissions, whilst delivering better and healthier energy services for all people,” Lo Sze Ping said, “the current strategy lacks clear plans and timeframes for how this transition will take place.” Concrete steps the AIIB can take going forward include setting measurable targets for renewable energy in both absolute and relative terms, for example at least $5 billion a year, and 50% of new electricity capacity; and for emissions performance standard for fossil fuel power plants, for example at maximum 350g CO2/kWh and reviewing it at least every 3 years. 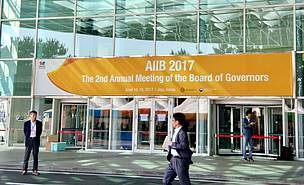 AIIB’s financing will be crucial in helping realize commitments for energy transition by many governments. 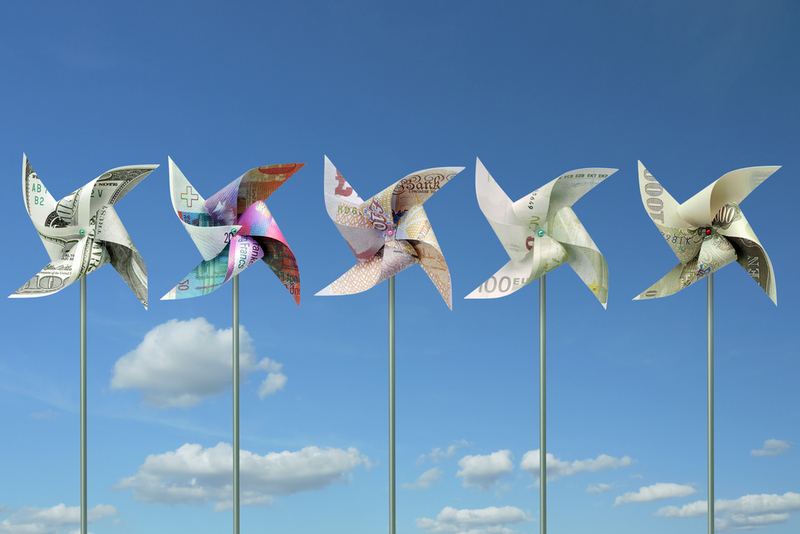 For example, in 2016, 48 countries of the Climate Vulnerability Forum jointly agreed to make energy production 100% renewable as rapidly as possible. Given the magnitude of new energy and other types of infrastructure coming onboard, WWF recommends that AIIB embed into its project assessment and investment decision of energy infrastructures the impacts of projects on ecosystem integrity and services, local communities and biodiversity, especially irreplaceable Key Biodiversity Areas (KBAs) and protected areas which have been mapped out worldwide and represent areas of high biodiversity. WWF calls on AIIB to fully integrate environmental and social assessments into its portfolios, including in its decision-making as well as review, reporting and accountability mechanisms. AIIB’s investment decision should be made following and going beyond international standards and best practice. WWF welcomes AIIB’s adoption of open attitude and transparency principles for ensuring quality implementation of its energy policies and projects. Furthermore, AIIB should influence the national and subnational governments of its member countries to improve their governance and transparency, which facilitate crowding in of more public and private capital. Last, but the most important, WWF expects that AIIB engage more widely with civil society stakeholders. A multi-stakeholder engagement approach will enable AIIB to fulfill its needs for expertise and knowledge in various sectors, such as renewable energy, ecosystem and biodiversity conservation, and community engagement, etc. “One way to start this can be to establish an AIIB-NGO Strategic Dialogue, a proven efficient platform for NGOs to support MDBs to move toward sustainability,” suggests WWF China Sustainable Finance Director, Yiting Sun. WWF also look forward to establishing a strategic partnership with AIIB, an innovative mechanism which WWF has widely adopted to engage with other MDBs to provide technical support and regular consultation on climate change and ecological biodiversity related issues. "We are ready to do our part in support of the Paris Agreement to build a sustainable tomorrow by investing in energy projects that will meet the needs of developing countries and also protect our environment," said Jin Liqun, President of AIIB on June 16. WWF will, working with other NGOs, support AIIB to achieve its grand ambition and make it a truly “Lean, Clean and Green” bank.